Great customer service! Henry is always very friendly, attentive, and pays attention to details. He was able to get the service I needed done quickly and when I needed a loaner car he made the process super easy. I didn’t even have to go inside which is usually a longer process. Took only 5 minutes!! Serj is the Business Retail Manager there, so friendly, professional and knowledgeable on his job. Will definitely come back to him for my next BMW ! Very professional customer satisfaction. Very friendly polite and nice. The quality of work is high. The communication is smooth and Efficient. Highly recommend Pacific BMW for the service and sales. I have been a BMW owner for the past 20 years ( 5 series, X5, and M3). I have taken my car to several dealers for service in the past and have never written a review. The reason being I was neutral in the service I received. I decided to write a review this time because the service I received from the Advisor and the Technician was beyond my expectations. Specifically, Manny Cruz was very knowledgeable about the services needs of my M3 and was very responsive and proactive. In addition, Calvin Yun the technician who serviced my car knows what he is doing and did and excellent job evaluating the issues I noted and corrected them. For example, the noises I noted are all gone and the car drives great. 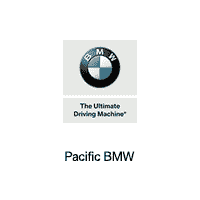 I highly recommend Manny and Calvin at Pacific BMW. Gilbert my service advisor ALWAYS does an AMAZING job every single time I go in! He’s the best! He’s the only reason I always and will continue to come back to Pacific BMW for service. I always appreciate getting a complimentary loaner car whenever l bring my car in for service. The service was done in a timely manner and I appreciate the free car wash as well. My wife and I purchased cars from Greg three years ago and as our leases were up we returned to get our next cars. Greg is attentive and takes the time to understand what we need and then provides great potential vehicles. He’s extremely personable and knowledgeable about the cars which makes the entire experience of car shopping a dream. This was our first time meeting Fernando but he is boisterous personality and eagerness to help was incredible and we’re happy we got to work with him as well. As long as Greg is with Pacific so will our family.